There have been 190 images uploaded to this topic. (View topic image gallery). There are 328 posts in this topic. You are on page 6 of 7. I no longer have a pz, but my guess is that both switches in the back need to be held closed when both balls are back there. If a ball is ejected from the up kicker (during normal play), i assume the 1st lock switch is working and the problem is the 2nd lock switch. The switches may work when a ball rolls over them , but make sure the ball keeps them closed at rest. Confirm in switch test. Thanks, gutz - that aligns to my theory based on what I am experiencing. 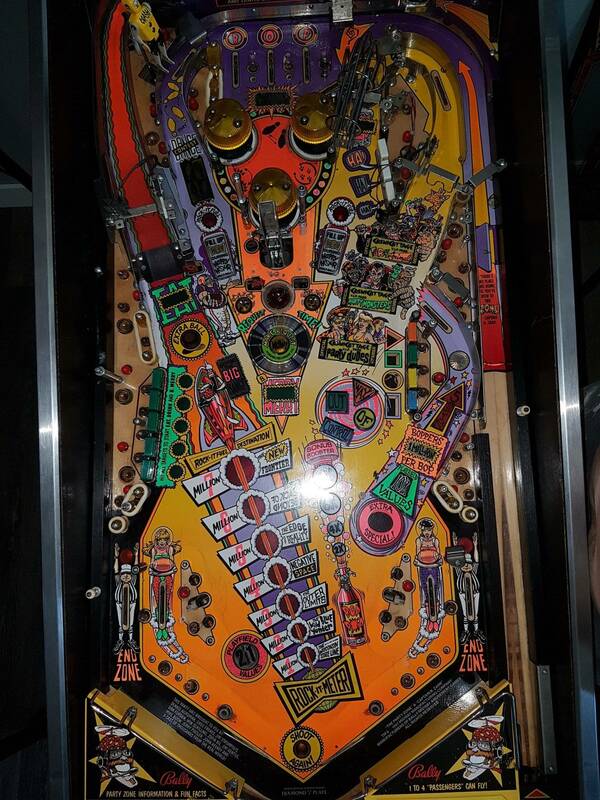 It's going to difficult to get that switch right because of the positioning of the assembly behind the playfield. 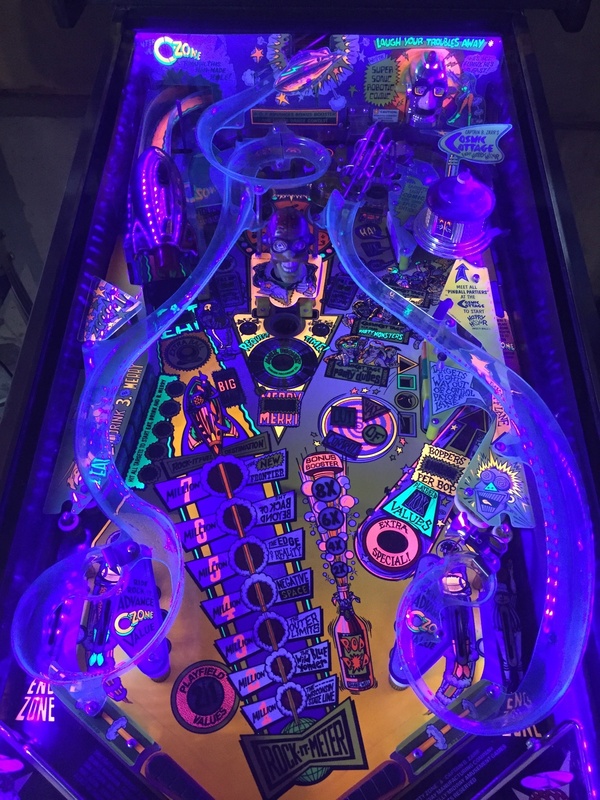 I'll be at Pintastic is this weekend but should have some time to work on it during the holiday week; I'll update with what progress I make. Well here's the update - I got it working but that switch is in a terrible spot for adjusting/testing. There are some additional good suggestions and what worked for me in the other thread I posted in about "no big bang". In short, work from the back with the head flipped down, get yourself high enough so only your wrists enter the neck hole, and use a multimeter to test the switch rather than constantly flipping the head up to use the game software. The ball rolls very cleanly across the repair because most of the work is on the underside of the ramp. Time will tell how the repair holds up. I found I had to replace the packing tape about yearly and the game sees very limited gameplay. Mine is still on route, now at Video Game Rescue in Jacksonville FL. I'll post photos soon, added some lighting! My dancing dummy is slow to start the first time he is activated during a game after turning the machine on. Like something is warming up first. Any ideas on why? It must of been a loonnng weekend and he's just a lil tired this Sunday afternoon! Haha, I just joined the club and can't wait to get it all back together soon! New flips, rubbers, cliffys, rebuilt pops and LEDs first!! Is there any word on somebody tackling the issue of making some reproduction ramps ?!? Just wondering if they'll ever become available! One can wish but it sure does't seem likely. I got a nice left ramp from a part-out in Mexico (found via Pinside - thanks!) and I did a pretty good job of using Bondic to shore up my right ramp. No longer any packing tape holding any ramps together in my machine. Just joined club. 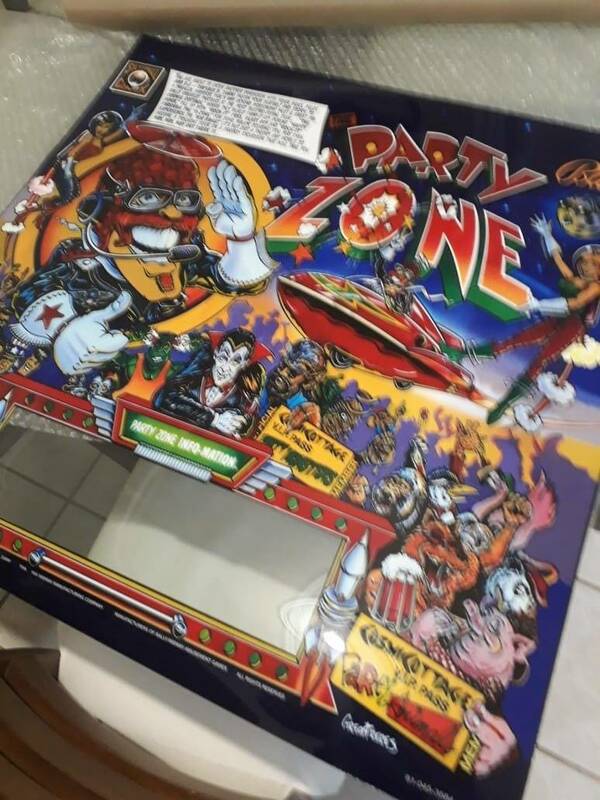 I have always had fun playing party zone when I see one in the wild. I love the cheese art and music. 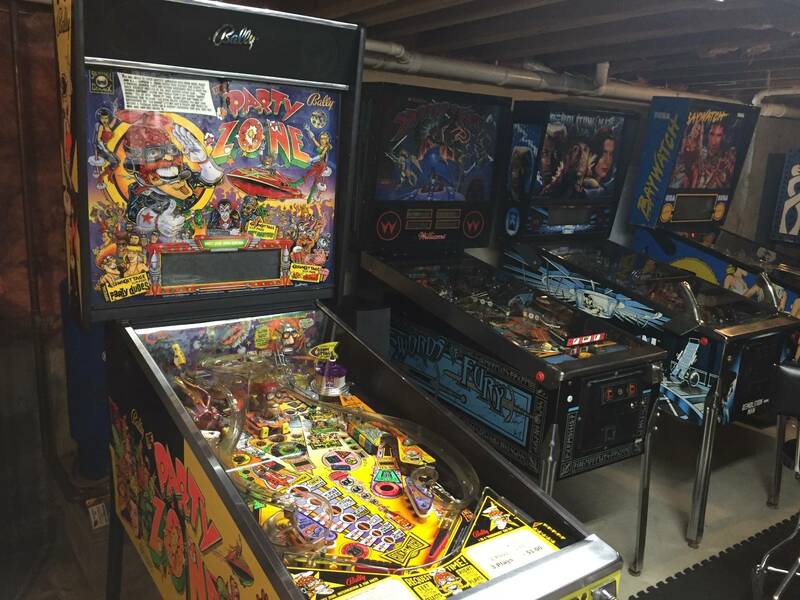 It's simple but sometimes you just want some quick fun games on a pinball. Probably overpaid a little but I factored in eagerness to find one, short drive (30 min) and the fact that I probably won't sell this down the line means I'm ok with the price. Ramps are in tact and not broken at all, just dirty. 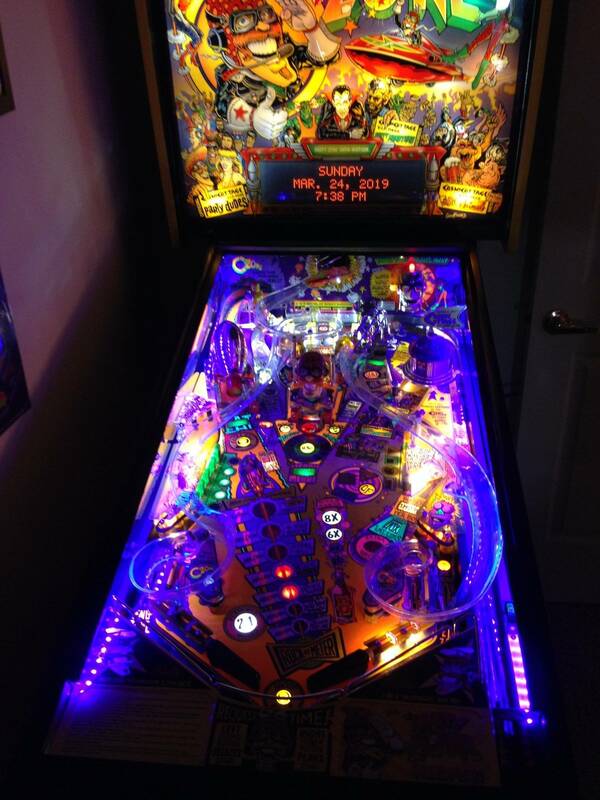 Playfield is good but with some wear near saucers and ball drops. Some battery damage on mpu I'll need to deal with at some point. Cab is strong and decals are in good shape and not very faded. 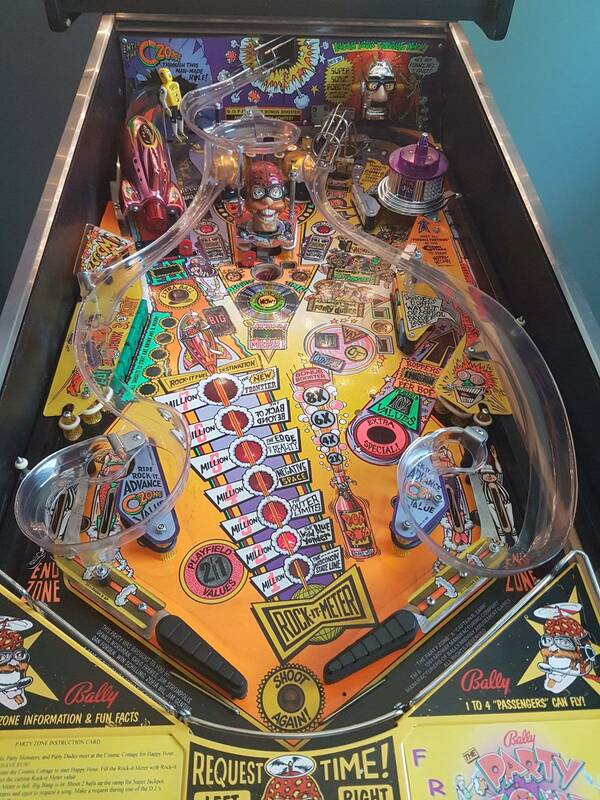 Also in the playfield pictures in machine info it looks like someone out in cliffy protectors around middle Dj hole and right ramp kicker. I didn't see any party zone specific sets on cliff's website though. 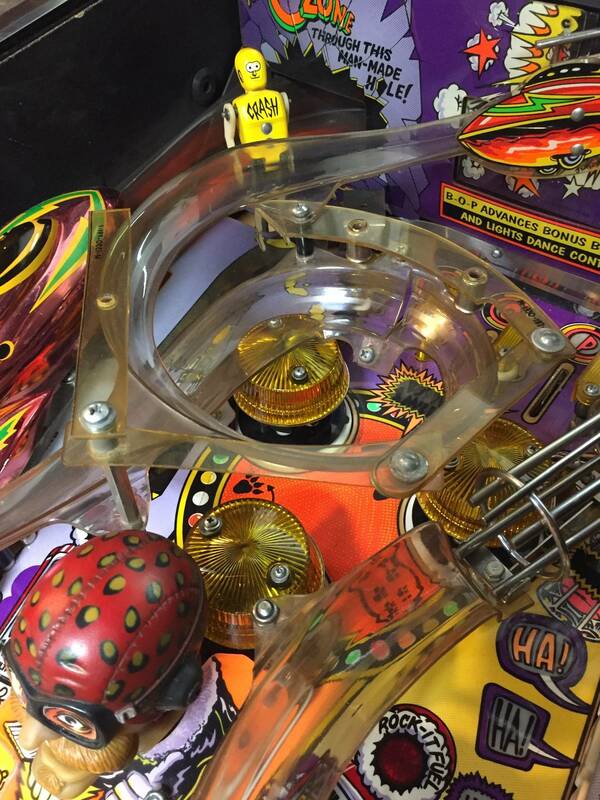 Ball coming off ramp issue.... put tons and tons of random plastic guides from other machines on the damn game. That's um, unique. At least it looks like it was "lovingly" done so it can be removed with minimal ill effects. I also had a problem with the ball coming off of the ramp, because the ball was ejected onto the ramp at too high of a velocity. So I simply placed a 2” strip of double sided scotch tape high up the ramp right where the ball enters the ramp. The stickyness of the tape is just enough to decelerate the ball to where it tracks the rest of the ramp and no longer flies off through the banked curves. Every now and then I have to put down a fresh strip of tape, but it is such a simple fix. Also, you don’t even see the tape, because it is transparent. I keep the roll of tape near by; behind the coin door. 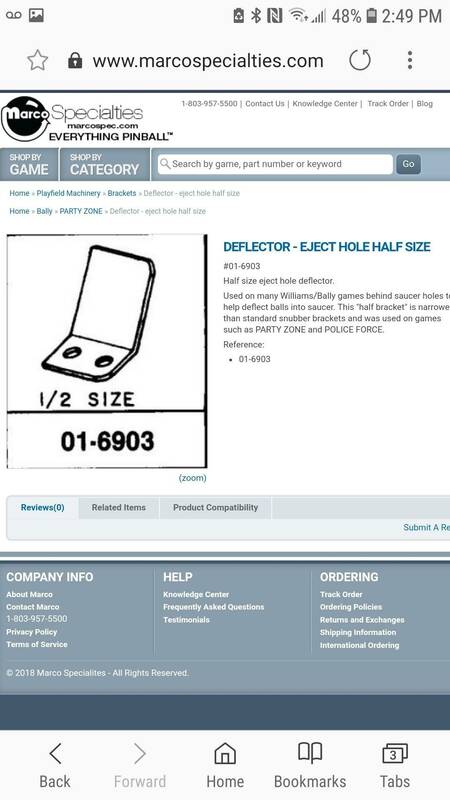 I just ordered those same cliffy's..his website is terrible! Just email cliff and tell him you want the party zone saucer cliffys..he will make u up some! Can you share cost or message me? Also why are 3 balls needed but only a 2 ball multiball. My guess is most was most Bally titles use a 3 ball trough. Several are just 2 ball mb. Universal parts. And even if a ball gets stuck, the game can still operate normally. That's a big plus for route operators. 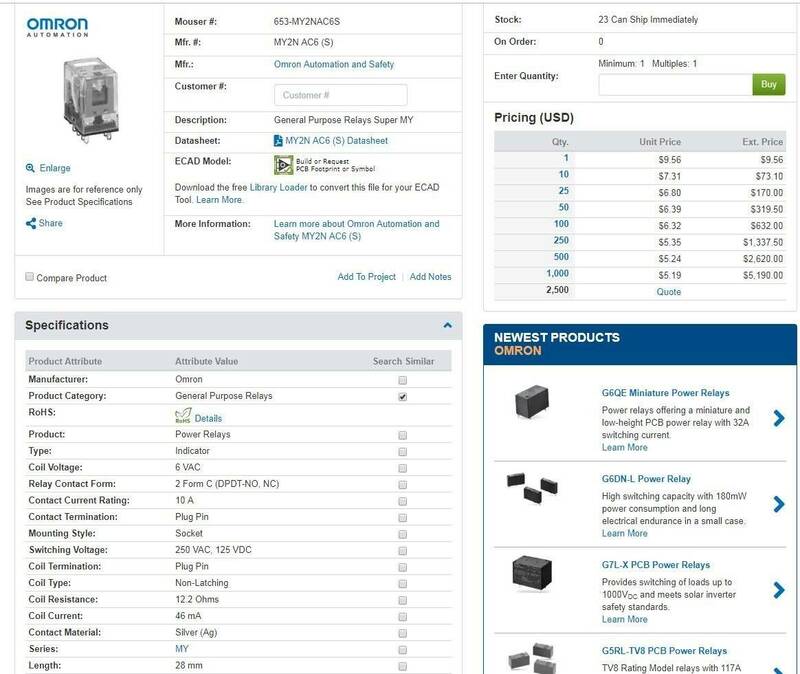 What's the major difference between L-2 and L-3 Roms? Does this game deserve colordmd treatment and do ya think it'll get it someday? What coil stops are in your party zone? I know manual says A-12111's but with those in I feel they go up too much. It's impossible to bump pass when ball go through inlane. 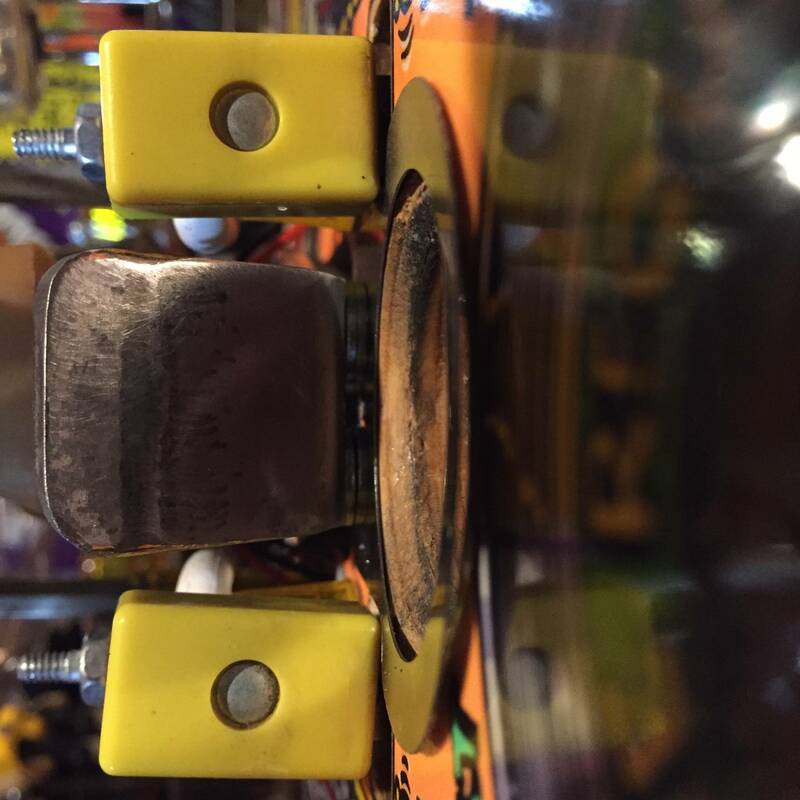 I pulled out the newer versions of coil stops when rebuilding flippers. With the newer stops, it felt like other Williams pins I have. I've got a nice Party Zone up for grabs. If anyone is interested in joining the club, send me a PM. 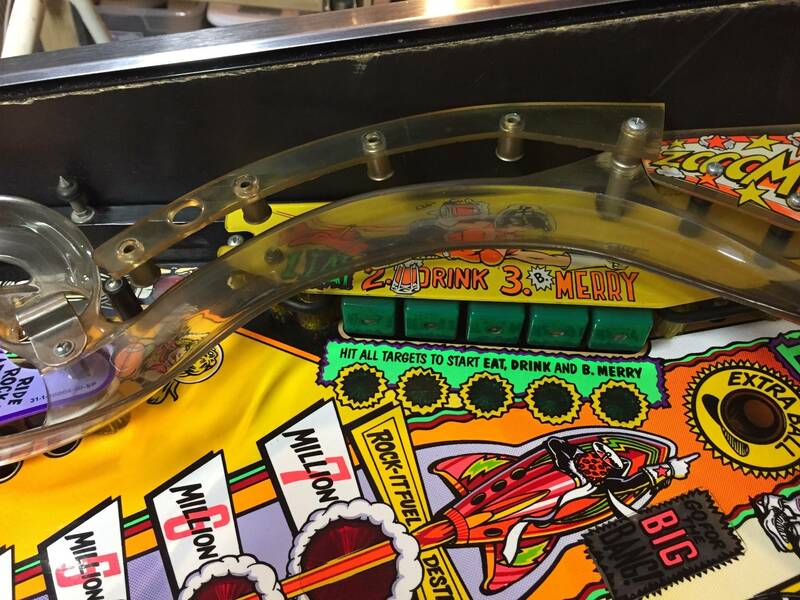 Having issues and was wondering where the "left ozone" and "right ozone" switches are located on the playfield?! Having troubles with everything on row 6 of the switch matrix.. start button, left pop, out of control rollover, "of"
Thanks.. they also dont work! Haha! Cant wait to play this game!! Found some spliced wires I'm gonna check next! Ok so freshly shopped, waxed, rebuilt flippers and a cliffy means Dj saucer is near impossible to hit. Only sheer luck random side shots go in. Really upsetting always missing eat drink and be merry, let alone not getting passes and music request. Need to find a way to make the shot more doable. Wonder if I raise the metal flap up with some washers. Or put a piece of rubber on it or something. That shot is actually one of the reasons I have not rebuilt the flippers...lol. Rubber might be too bouncy. Maybe cut to fit adhesive felt? Like what goes on bottom of furniture legs? Yeah something like energy absorbing material. Like temperpedic material. In my experience soft pads dont work. You can try bending metal bracket down a little. I think I have my metal deflector bracket loose which helps absorb energy. It makes me wonder whether mounting it with a spring in line with the screws would be a better way to absorb. So loosening the bracket helped some. Have some various springs and silicone durometers to put between the screws and plate. wonder if raising the deflector or making it recoil has a greater effect. Will try over the long weekend. 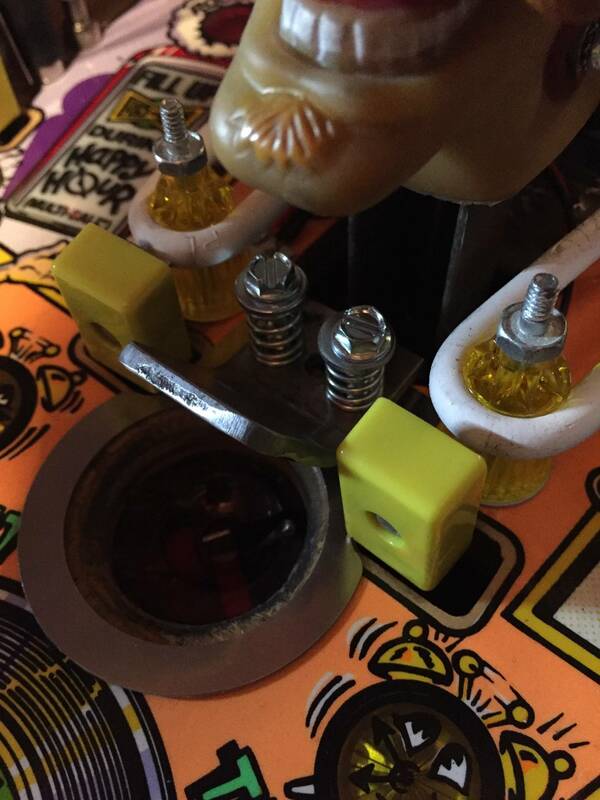 On a side note, how the hell do you put the Cap's head back on over the mouth lever? Do you have to remove the solenoid from underneath the make the flap go all the way upward? *EDIT* found answer on head installation. *EDIT* found the answer on the head replacement. This setup works better than stock. Two washers under deflector and stiff springs above it with #8X1-1/4" screws so they are still solidly in the wood. Now I get like 25% of shots in. Think the mounting holes in deflector need to be elongated to allow more movement by getting hit. his setup works better than stock. Two washers under deflector and stiff springs above it with #8X1-1/4" screws so they are still solidly in the wood. Now I get like 25% of shots in. Think the mounting holes in deflector need to be elongated to allow more movement by getting hit. Spectacular, langless28 ! Thanks for the photos - it's a very clean finish and I'm going to try to replicate your effort. Is that bracket sold anywhere? Mine is beat up and cracked when I tried to straighten it out. I can look up the springs I used on McMaster Carr on Monday for you. Does anyone know of a part number or where to get a replacement ball deflector?!?! 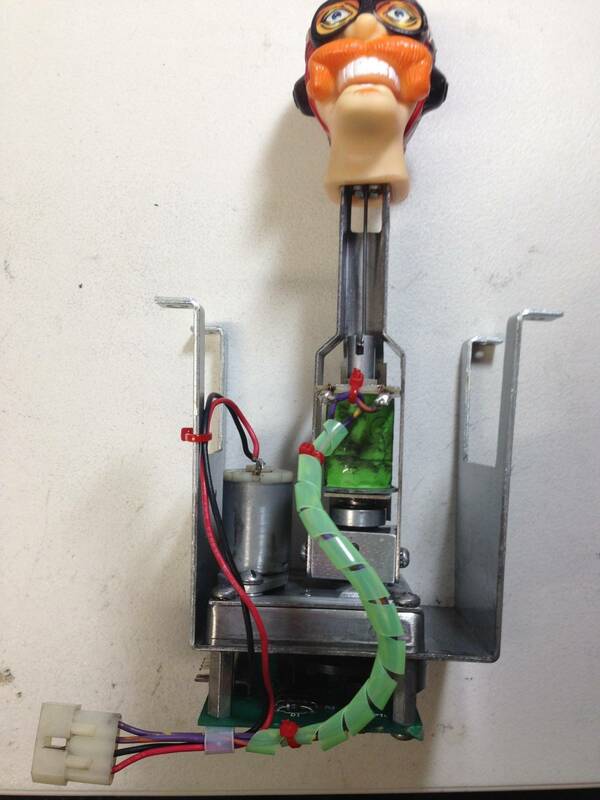 Can anyone provide me with Pictures of the dummy mechanism? 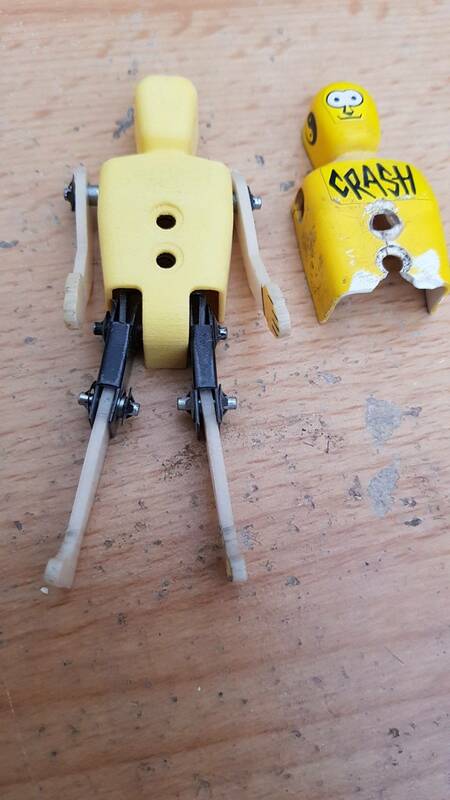 I need to fix one for a friend, the Dummy is attached the rod, but im not sure how the dummy connects to the mech. 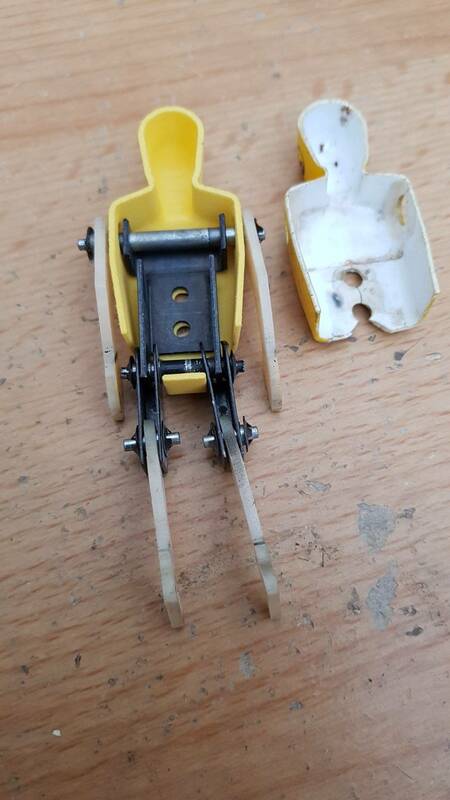 he sent me a picture of it and I see a hole at the bottom of the rod where it looks like either a pin or a screw goes there. 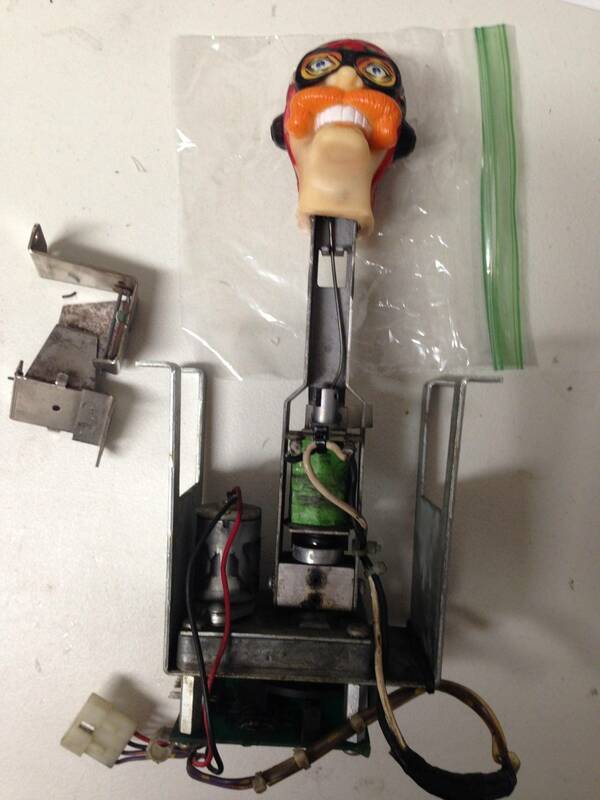 Im trying to buy the right parts to reattach it. 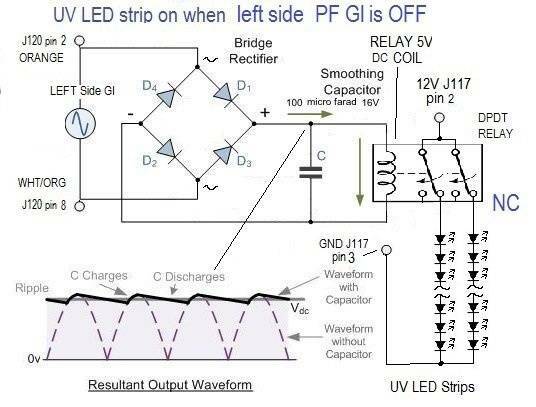 The manual shows a Roll pin on the list, but I want to see how it connects if possible. I can take pictures tonight for you. Yes. 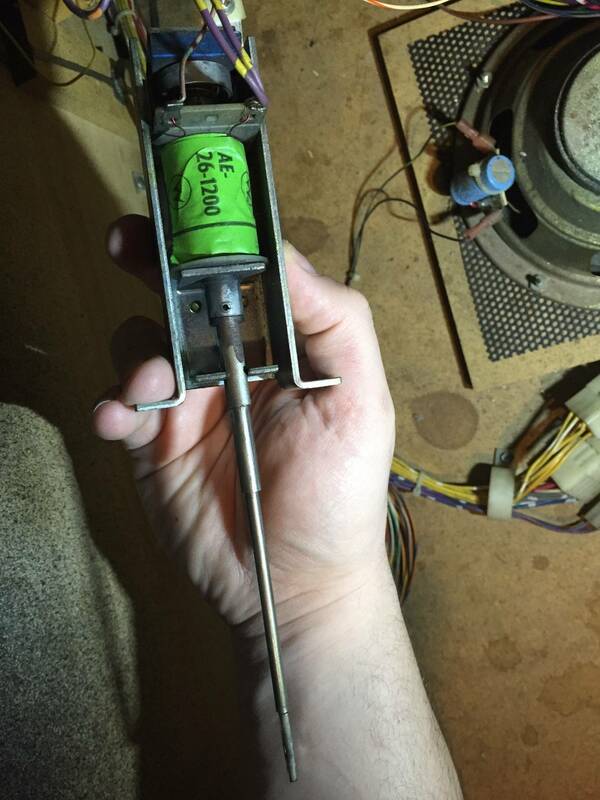 Just appears a roll pin holds the large portion of the dummy shaft in the solenoid plunger. 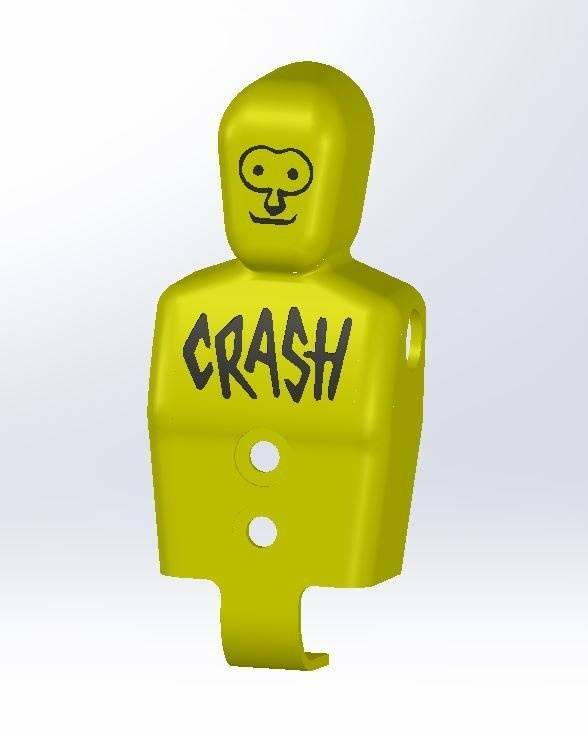 I have created a 3D model of the crash test dummy since they are unobtainium. I think its close to 100% dead on. I can do a few different things to accommodate the needs of the people. For starters, i still have to add the art to the side of the head. I also need to test it with mech's inside. Not sure if the original was molded or thermoformed (my guess is thermoformed) because the wall thickness is a little uneven around it. I can provide this model in the following ideas/flavors. 2. as-original but with the "decaled" features actually embossed into the part. 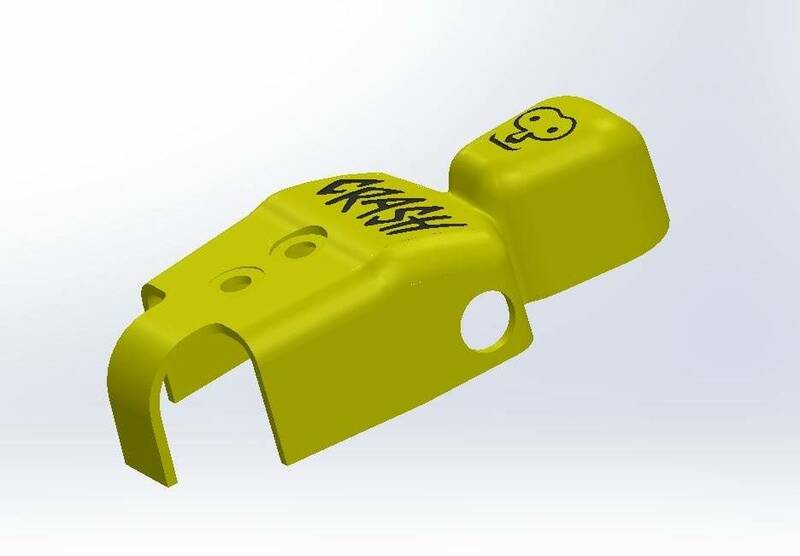 This would allow you to 3D print it, color in the face/logo and NOT use stickers. 3. as-original but with thicker wall for durability----not sure how much thicker I can go due to the mechs inside. 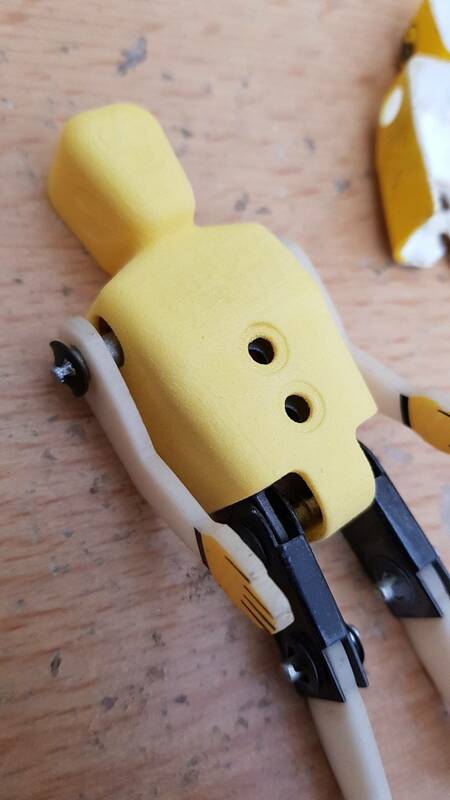 4. solidly filled so that if you do not have the original metal parts, you can screw the arms/feet into the body (with like shoulder screws) and I can come up with a method to attach to the solenoid. I can provide any of these ideas (or others) as a .STL file for anyone that needs them. That's great! Suggest you also post it in the Shapeways marketplace so folks who want to "just order one and have it show up in the mail" have an option to get it as well. Where did u find the springs?! https://www.mcmaster.com/1986k77 something similar to these. Just finished this. I think it’s pretty cool. Uv lights only on when the red GI string is active.